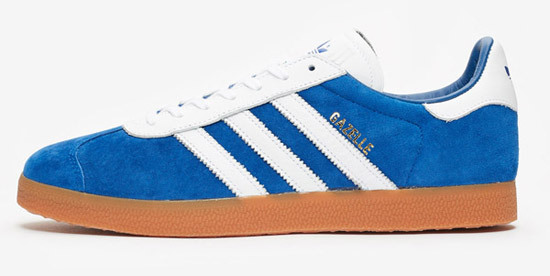 The shoe is a constant in the range, but the Adidas Gazelle trainers just reissued are the pick of the bunch. 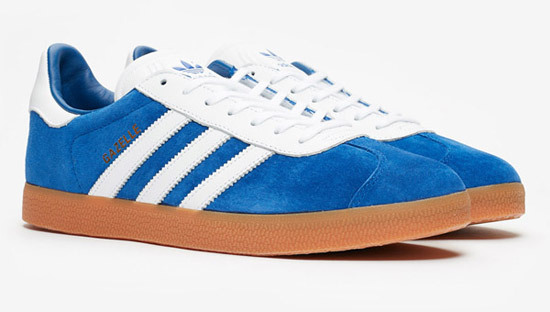 Adidas has taken the (welcome) decision to take the design backwards, with a look of Gazelles past. This is tinkering I wholly approve of. 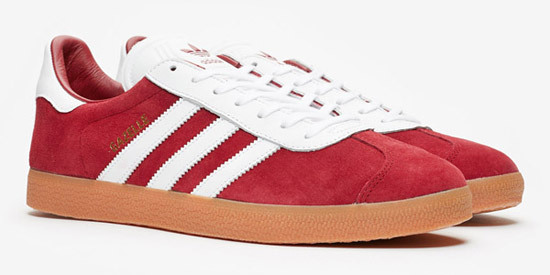 The new Adidas Gazelle trainers are still are reissued in red and blue, but that’s only a part of the story. 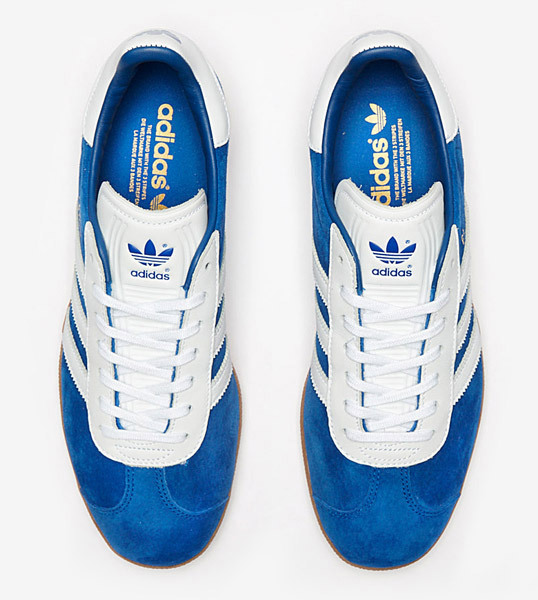 Rather than adding new detail to this 1960s classic, Adidas has decided to go back in time, bringing back the white eyelet for a contrast in colour that really does set their shoes off. 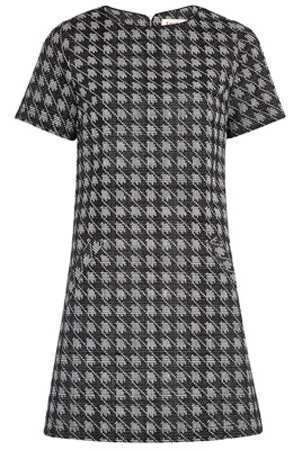 It’s a small detail, but going back to the contrast top really does set off the design. it hasn’t looked better in years. the gum sole has also been reworked, which again works really well with a more natural finish. Little details really can have a big impact. 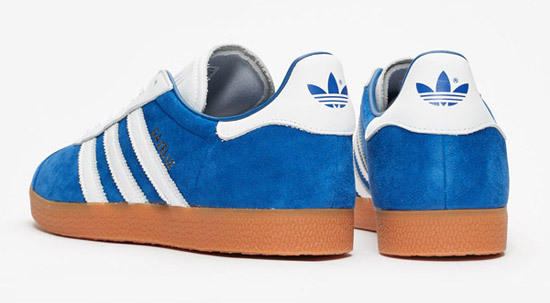 The finished shoes both use a nubuck upper and also feature an OrthoLite sockliner, that rubber outsole I mentioned and of course, the serrated three steps and leather heel, the latter with Adidas logo. Not easy to find though. 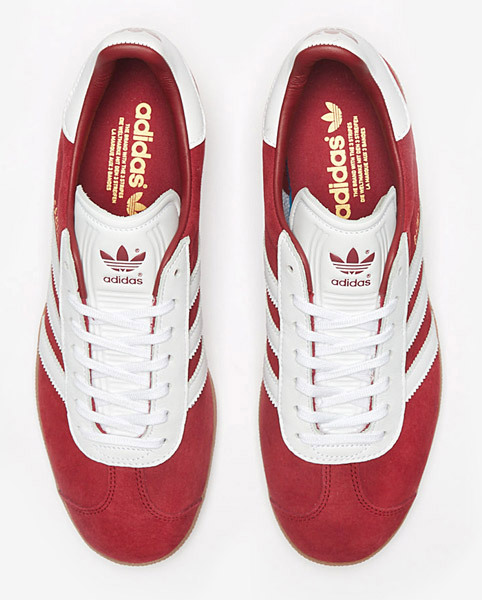 The only place selling these right now is Sneakers n Stuff, who are based in Europe, but do sell and ship to the UK. 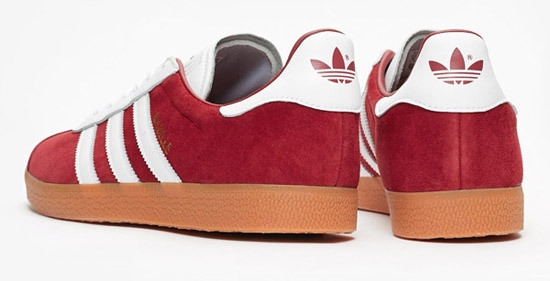 If you want a pair you are looking at £85.